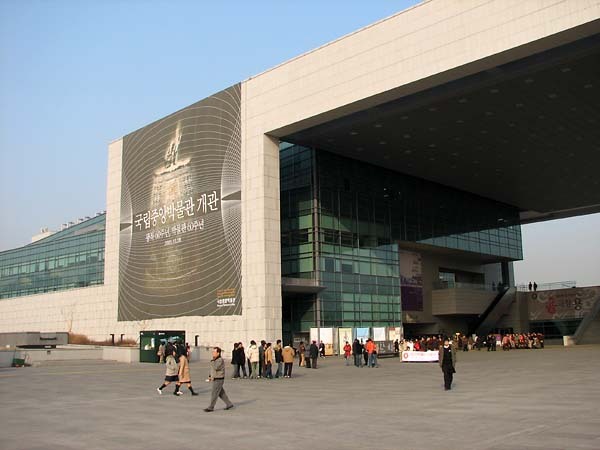 The National Museum of Korea was established in 1945 from a nucleus of earlier collections. The museum sent its contents to Busan for safety during the Korean War; afterwards it occupied Gyeongbokgung and other locations in Seoul, moving into its current quarters in 2005. The modern building features earthquake protection, and a lighting system that uses natural light piped in from the outside.